Take a guided tour through Rome and Egypt by way of Headmaster Galahad and the acclaimed Horrible Histories series: a fun and accessible introduction to wicked, weird and woeful events of the ancient world. Our end goal? To instill an unbridled love of history and the desire to go forward and explore in-depth even more world events, Horrible and otherwise. 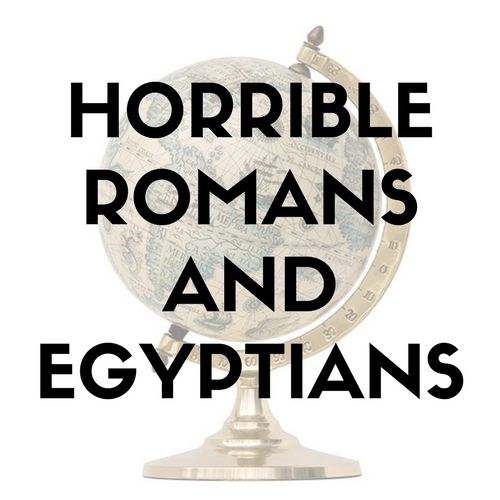 In and outside the webinars, this class will focus on the stories of the people of these ancient empires, while also beginning to introduce critical thinking skills and primary source analysis in supplement to the Horrible Histories. 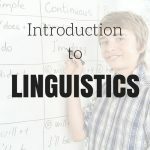 This is a semester-long, early middle school course. Weekly webinars are 50 minutes long. Recordings are available for students who must miss a session. Aimed at students ready for work appropriate to grades 6 and 7. 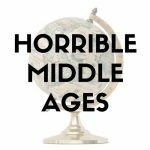 This is a middle school history course open to students ages 8 and up who are prepared to critically think about challenging ancient history topics. Most students report spending approximately 3 hours per week on homework outside of the webinar, including the reading assignments. None. Students must be able to read at the 5th grade level or above (Lexile 780+), and have sufficient typing skills to communicate effectively with classmates in complete sentences. Ability to compose a paragraph independently recommended but not required.